Child Resistant push and twist cap incorporated on Varavo vape cartridges to allow patient to preserve their medicine in a safe environment. This allows the patient to better care for their medicine and to prevent children from getting to medicine. An informative graphic to better aid patients to consume Varavo products responsibly. Due to the lack of education to the public most patients don’t understand how to properly dose and consume their medicine for the best results and experience. 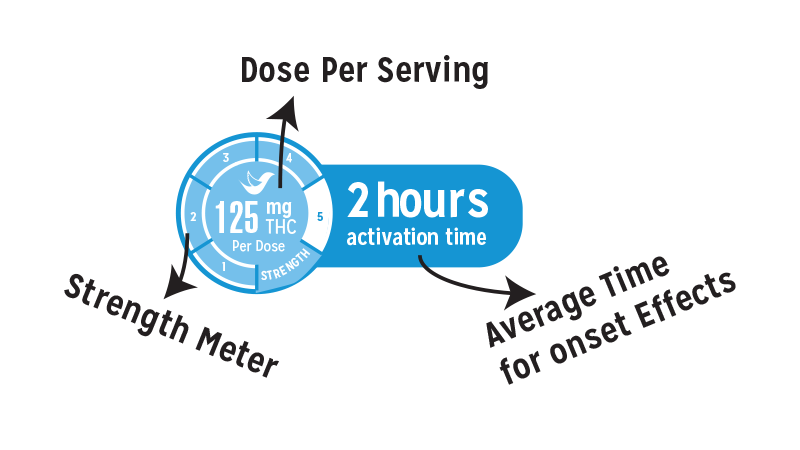 The Varavo dosage meter aids veteran and new patients to better discern what they are consuming or vaping allowing them to make responsible choices. We guarantee the highest potency vape cartridge on the market. We ask you to put us to the test. By carrying our products not only will we prove this in sales but also by sending a product of your choice and a Varavo product on the shelf to a certified 3rd party lab (SC Labs or Steep Hill). We are confident in our product and have used a simple approach for our success “A Higher Standard”. Provide patients with the best product and they will respond by coming back for more. Simply let the product sell itself, no marketing gimmicks just the best product that can be produced. The confidence we have for our products surpasses all others in the industry and we stand behind this with a 100% satisfaction guarantee. If a patient is not 100% satisfied with a Varavo product simply return it and we will reimburse the collective for the product. This includes leaks or defectives if for any reason the product does not function properly we will replace the defective, no questions asked.